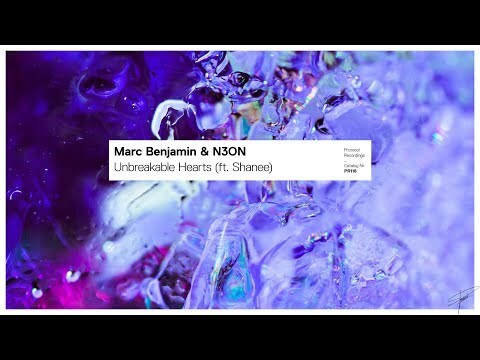 Marc Benjamin's Releases Uplifting "Unbreakable Hearts"
Marc Benjamin has assembled fellow Dutch artists for his latest release titled “Unbreakable Hearts”. Producer N3ON and singer/songwriter Shanee join Marc in this Progressive House marvel. “Unbreakable Hearts” is an uplifting track that will have you taking on the world after one listen. Shanee, who is known for known for collaborations with Dutch hip-hop artists, helps the enlightenment with her balance beauty and power. After Shanee’s first chorus, the build hits hard, but blends beautifully into the drop. Overall, “Unbreakable Hearts” is a great project from this Dutch trio that will keep the Progressive House movement alive. Marc Benjamin & N3ON – “Unbreakable Hearts (ft. Shanee)” is available now from the label one more Dutch friend Nicky Romero, Protocol Recordings.